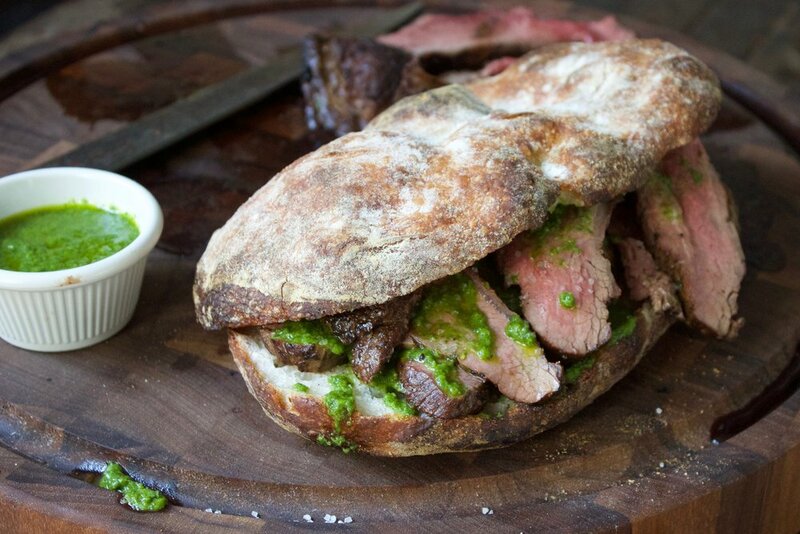 This homemade Steak Sandwich tastes as good as it looks! Whether for lunch or dinner, this sandwich is a show stopper. Not only did we take a cheaper cut of beef (tri-tip) and make it taste like a Steakhouse Prime Cut, we baked our own loaf of bread to make it into a sandwich. There's really nothing better than great quality beef, cooked superbly, homemade Ciabatta bread, and spicy and tangy spread to make your lunch one that stays on the menu for weeks to come. 1. Make a loaf of ciabatta bread with an old 72 Hour Dough. Let it cool completely before slicing in half. 2. Remove steak from fridge 15-20 minutes before cooking. 3. Preheat Mini Griddle on Med-High for 5-6 minutes. 4. Season liberally the steak with salt and pepper. 5. Sear all sides of the beef pretty strongly for about 2 minutes each side. 6. Cook steak until internal of 120/125 degrees and remove. 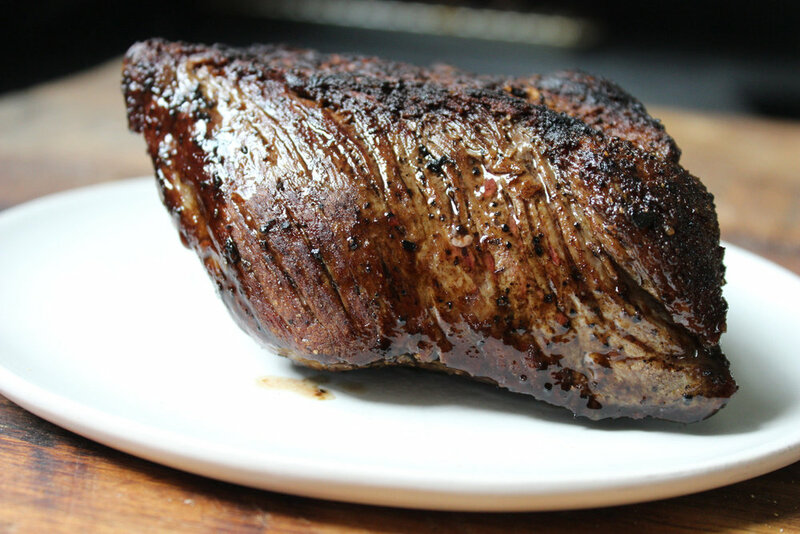 Rest steak for 5-6 minutes. THIS IS CRUCIAL!!!! 7. While the steak is resting, combine all of your herbs, oils and vinegars together to make your herb spread. 8. Slice steak against the grain and assemble sandwich.